Is my tire dead? - Miata Turbo Forum - Boost cars, acquire cats. <br />Don't car about vibration. No cords showing. <br />Throw it on the back and say fukit? <br />Or get a cheap set of once frozen old rs3s? <br />Something else that doesn't involve new tires? My daily tires are my track tires. New tires won't happen for a while. I think the rs3s is where I'm leaning. You're at the wear bars anyway. You need new tires for street driving . . . especially in the PNW. Just ask @turbofan. From what I've read so far star specs grip way past the wear bars. Grip on track . . . absolutely. Grip in pouring rain in the PNW . . . not so much. So were voting for the old rs3s over the flat spotted z1s? But gun to your head which would you pick? Neither. Get safe tires, dude. Ugh I know that is the right thing to do. I've got an auto-x this weekend. I'll make the RS3s work for that. I don't have track time until Sept 13th I'll see what I can come up with. Maybe I'll find aa set of UHP takeoffs or something. <br />I'm not a fast driver. What does freezing them do besides lessen their grip? I'm fine going on a slipperier tire, I just won't be able to go as fast. I'd run that ZII to auto-x. Its not going to blow out or anything. RE71Rs or Rival-S are the hot ticket now. But cheap/free RS3s are hard to overlook if you're not trying to win. Oh yeah free, yeah definitely gotcha there. RS3s are mounted up. New tire shopping has commenced. Idiot. Have you pursued getting a refund? 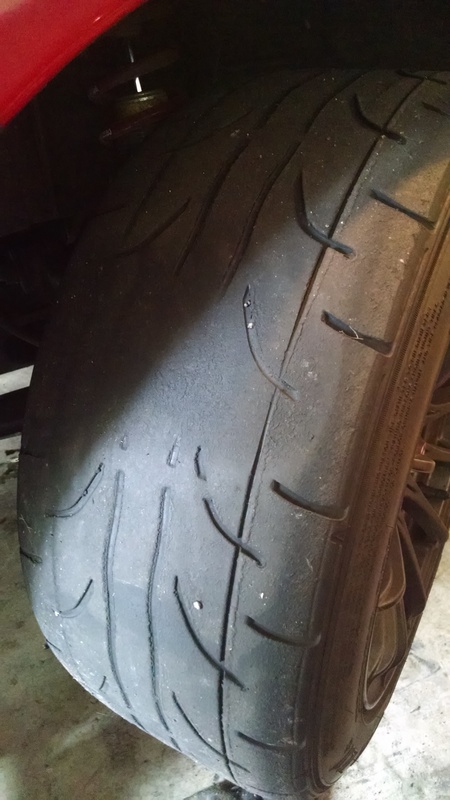 Quick Reply: Is my tire dead?